There's a shift happening in the fashion and design world. It's almost imperceptible, but it's there, like a gentle southern breeze quietly blowing through open doors and windows of a room on a hot, muggy afternoon. 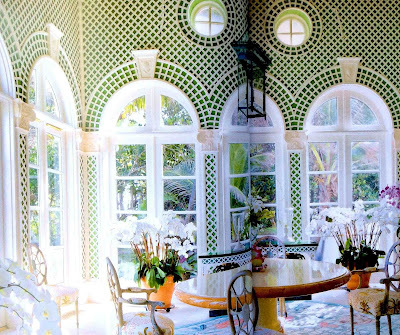 It's a shift away from austere lines, sharp edges and fierce minimalism in favor of pretty, witty and whimsical. Some are calling it The New Pretty, but I think it has more depth than that title suggests: there's a nod to sweetness and cheekiness, yes, but if you look closer there's also a thoughtful elegance lingering underneath. 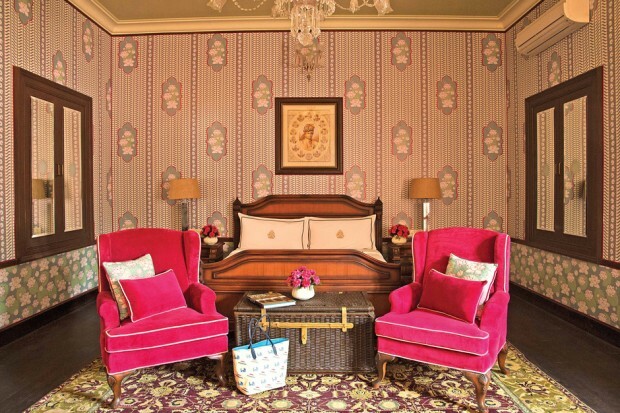 It's a softer, more glamorous aesthetic that harks back to a 1950s-style sophistication. 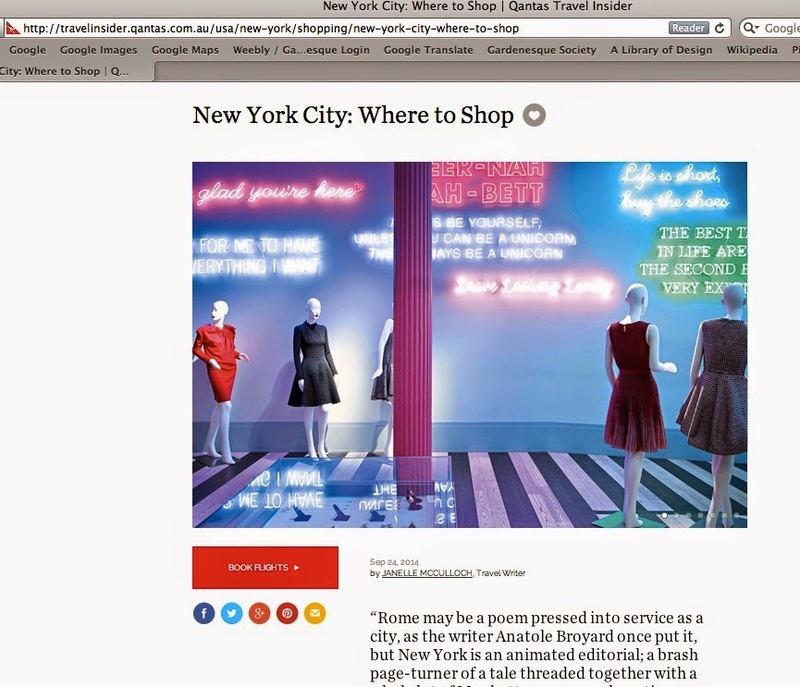 And it's showing up not just in books, interiors and fashion, but also hotels. 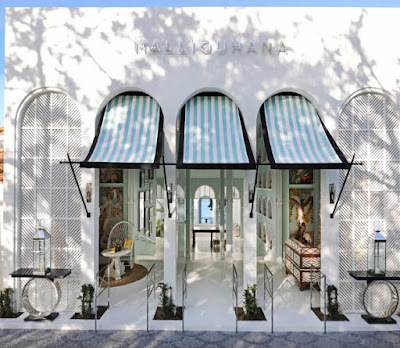 Just look at the design waves that the new Malliouhana Hotel in Anguilla (above), the Sujan Rajmahal Palace hotel in Jaipur, the Only You Hotel in Madrid, and the Ham Yard Hotel in London have made in the international media this year. And so I thought I'd post a few things from The New Pretty Movement, to lift your spirits from this week's reflective post. A heartfelt thanks, too, to all those who emailed or privately Instagrammed me with kind letters and gracious notes. I was overwhelmed, and deeply grateful. And to all those who have recently lost or are facing health issues with their own fathers (isn't it strange how this year has affected so many? ), I offer one word: Love. Give your Dad LOTS of love! This is a not a time for negativity or regrets or even recriminations. It is a time to celebrate the life we've all had, and to remember how lucky we are. I think of that all the time when I travel; how fortunate I am. Gratitude is a grand thing. It puts you back in your place, prevents you complaining too much, and redirects your focus from looking down and frowning to looking up, with a wry grin. We need to remind ourselves--and the people we love--that life is wonderful. So here are a few wonderful things to lift the spirits in your world this week. Diana Vreeland would be pleased as alcoholic punch that her name and style are being revived after so many years. Her grandson Alexander Vreeland is creating an entire industry out of his celebrated grandmother via the Diana Vreeland Estate, and Diana's fans are embracing the memorabilia, much of which will undoubtedly become collectors' items. Alexander's first project was the hugely successful book Diana Vreeland Memos: The Vogue Years, and now he's following it up with the equally gorgeous Bazaar Years. Featuring one of the prettiest covers published this year, this beautiful book is a look at Diana's design legacy while at Harper's Bazaar magazine from 1936 to 1962; perhaps her most productive period. 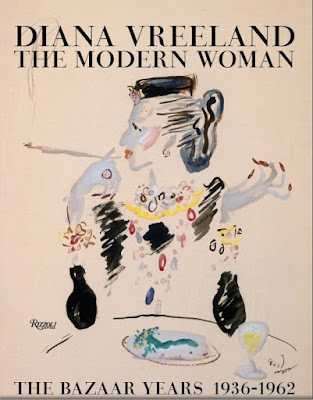 Like the first book, it's as witty as Diana, but this one is less about her famous memos and more about the fashion, magazine covers and page layouts. It would make for a lovely Christmas gift. 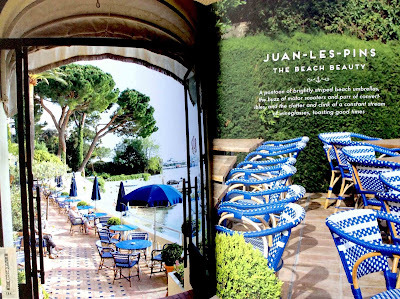 —Roderick Cameron, on Chanel's French Riviera hideaway, 'La Pausa'. Which just goes to show: most women — even the minimalistic Chanel — love some kind of pretty. It's not known what the House of Chanel plans to do with La Pausa, but I suspect Mr Lagerfeld will be eying it for his future couture hows. How fortunate will those guests be? 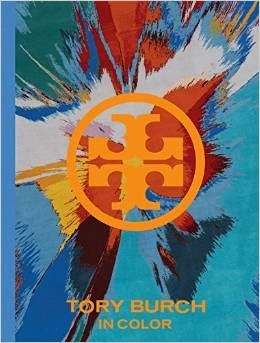 Assouline is publishing some beautiful new titles between now and the end of the year, and this is one of the most anticipated. 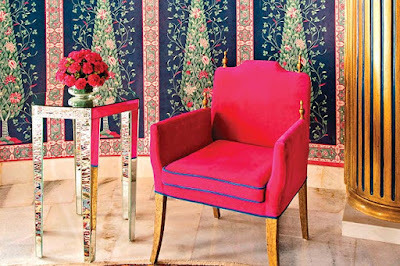 Rajasthan Style is a glamorous ode to an extraordinary place, which is more popular than ever with the design crowd. 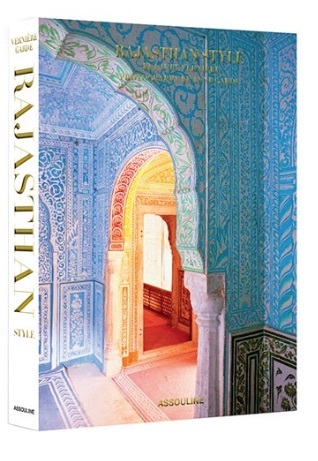 In Assouline's words: "In Rajasthan one encounters marvel after marvel. One is surprised by beauty in all its forms – real or imaginary – and enchantment at every turn..."
A travel journal on a truly grand scale (it's more of a tome than a travel book), this photographic opus highlights the dramatic beauty of the people, landscapes and places of this legendary region of India. Far more than a sourcebook of architecture, interiors, textiles, tiles, light and landscapes, it's an homage to one of the most inspiring, design-filled corners of the globe, and shows why Rajasthan continues to fascinate many of us, year after year. 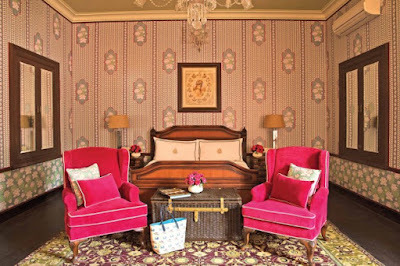 If there was one hotel that astounded everyone this year, it was this: the Sujan Rajmahal in Jaipur. 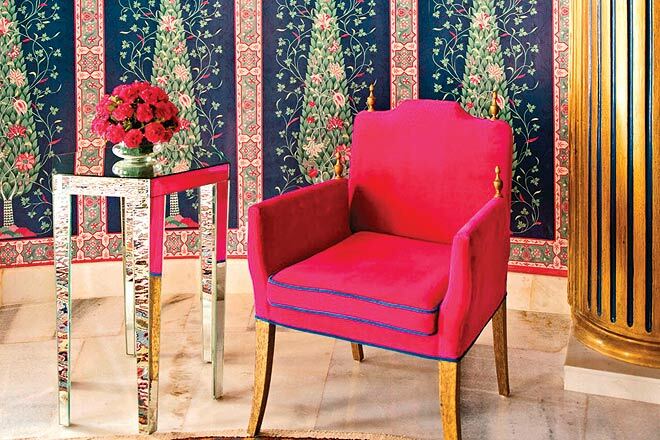 A fantasy of color, it reflected the theater of India in every corner. If you're a fan of white, this may not be the place for you. (Try the lovely Taj Lake Palace Udaipur instead.) 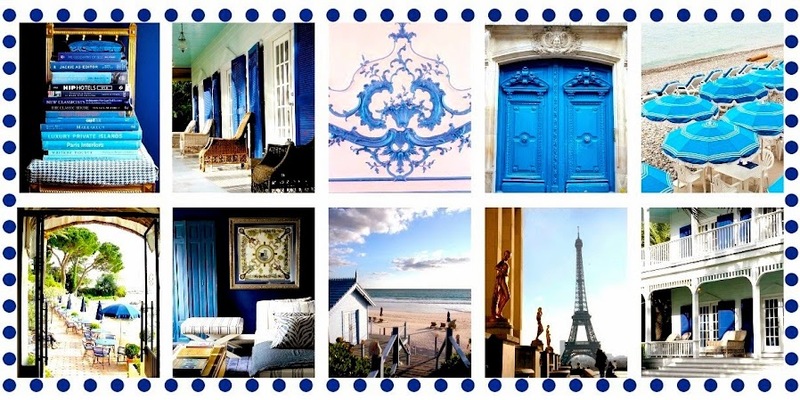 But if you embrace colour, put it on your Travel List for 2016. 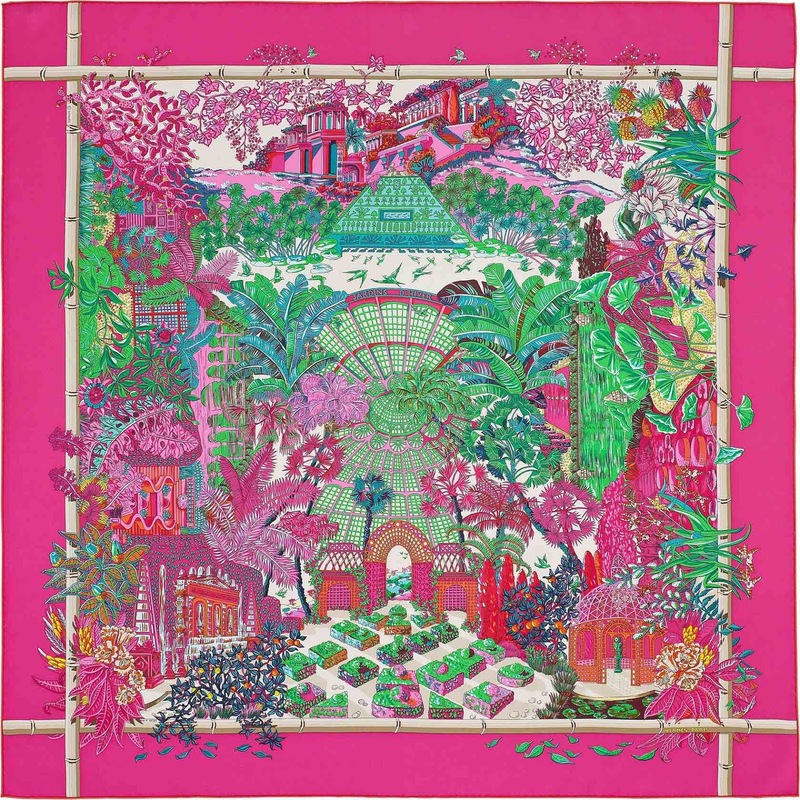 This grand French fashion company is most famous for its scarves, and this one, entitled 'Winter Garden' (Jardin d'Hiver) is arguably one of the most beautiful designs ever printed. 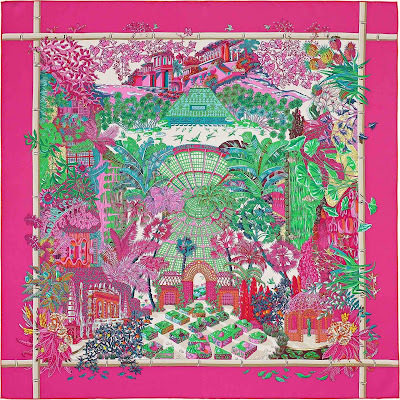 It's a lush layering of parterres, palms, orangeries, and even pineapples, all mixed into an intricate garden scene. Every time you look, there's some lovely new detail to discover. It's just beautiful. One to wear to Chelsea Flower Show in 2016? BETTER THAN THE ACTUAL FLOWER SHOW? There was a lot talk in London this year that the Chelsea fringe festivals are almost better than the actual Flower Show. I agree. 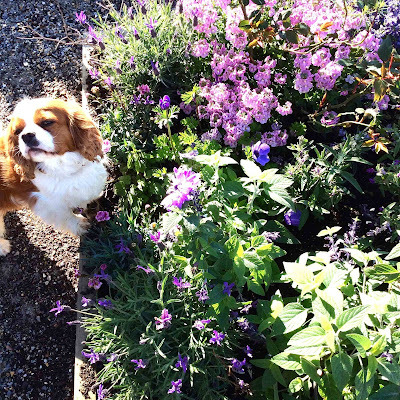 While the Chelsea Flower Show has become rather commercialized and brand-driven, the festivals that have sprung up around it, like self-seeding flowers in spring, are surprising, inspiring – and (best of all) FREE! My favourite is Chelsea in Bloom, the event that encourages all the boutiques around Sloane Square to put on floral-themed windows. Each boutique is then judged by the same judges of the Chelsea Flower Show, after which garden lovers are encouraged to wander around the route (there's a map on the Chelsea in Bloom website a week before Chelsea week) to take a look at all the botanical loveliness. Businesses take it so seriously that they commission big-name florists to draw up designs months before. Some can only afford to do it every other year, and you can see why: it's an extravaganza of petals and leaves. I'm mentioning this here because it's definitely part of The New Pretty Movement. 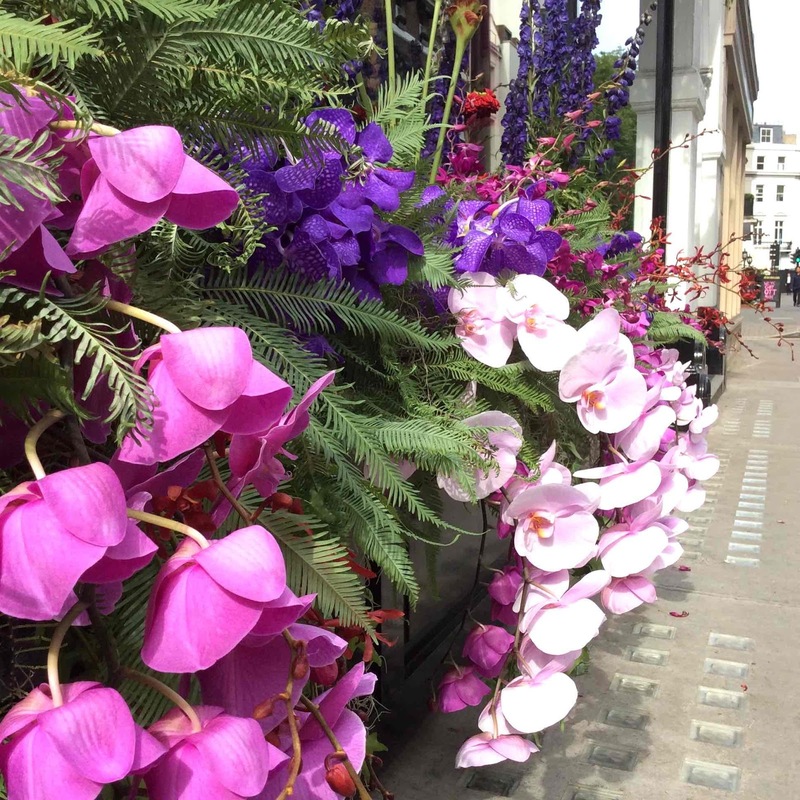 This year, the Chelsea in Bloom boutiques were so spectacular, they transformed the streets around Chelsea into a veritable greenhouse of gardenalia. If you can't get tickets to Chelsea (or can't afford them), I encourage you to do this DIY walking tour of the area instead: it's free, fragrant and utterly fabulous. You'll be sighing with delight at every turn. 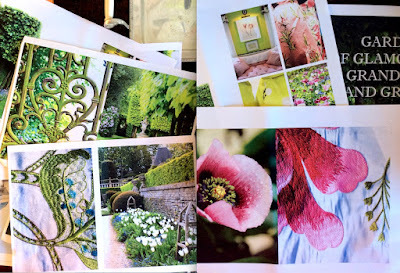 I haven't told many people this but for the past few years I've been quietly working on a garden book project on the side (in between other publishing projects!). Every time I've gone overseas I've tried to set aside a day or two to either shoot gardens or do a reconnaissance. 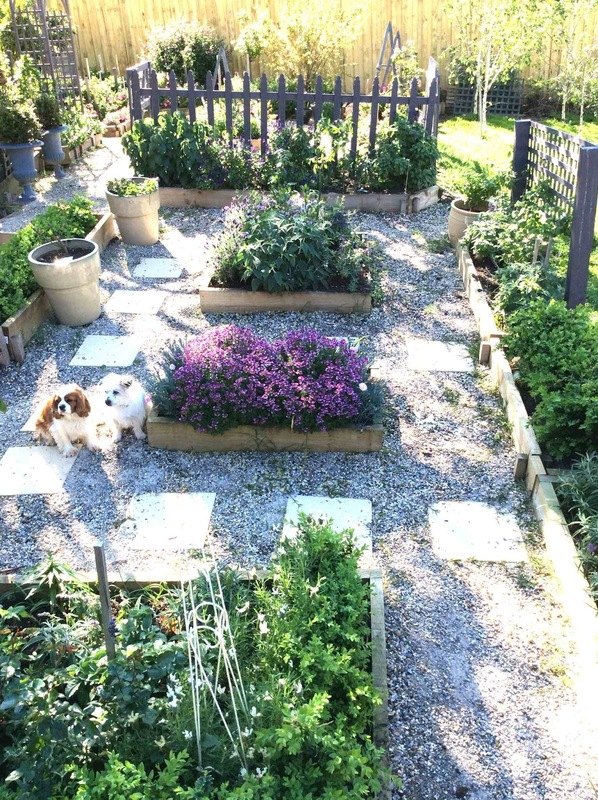 (Some gardens are as glorious as you'd expect. Others don't receive the same horticultural love.) After three years and a LOT of gardens, I had enough content to produce a mock-up. 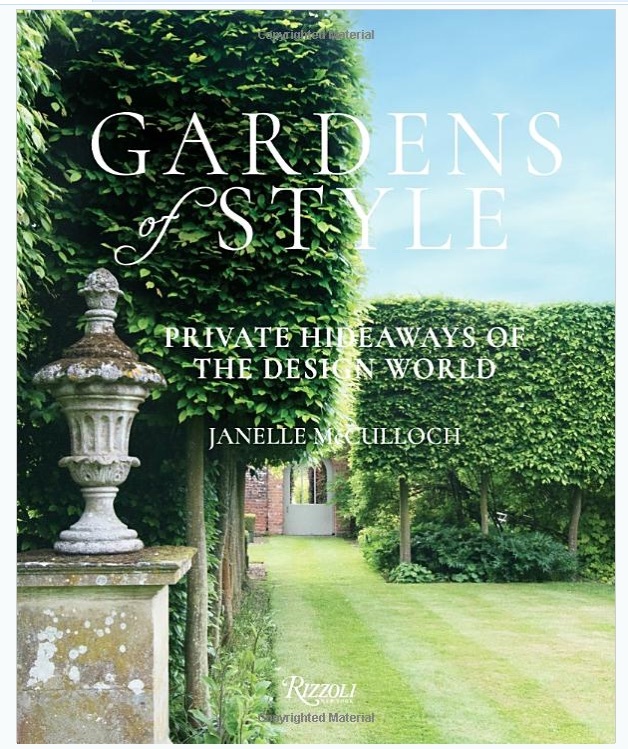 I wanted to create a really pretty book, a book that celebrated my love of gardens and fashion, but I wan't sure how to configure it? Finally, we had the answer, and this past week, the project has, to my surprise and delight, been green-lighted by a big New York publisher. Shooting begins in the US, France, Italy and England next year, and I'll certainly post some images here and on Instagram. I hope you like the project. In the meantime, I'm still finishing the Joan Lindsay biography (the Picnic at Hanging Rock book), which is now going to be illustrated with images (the National Trust are getting involved), and may also become a documentary. (As you can see it's become bigger than we anticipated, which is why it's taking so long!) We hope to wrap it up by the end of this month, so it can be published in time for the big 50th anniversary next year. There is a Picnic play planned at the Malthouse theatre (nothing to do with my book, but part of the overall celebrations), a Picnic exhibition being staged at Mulberry Hill and even a TV series in the works. 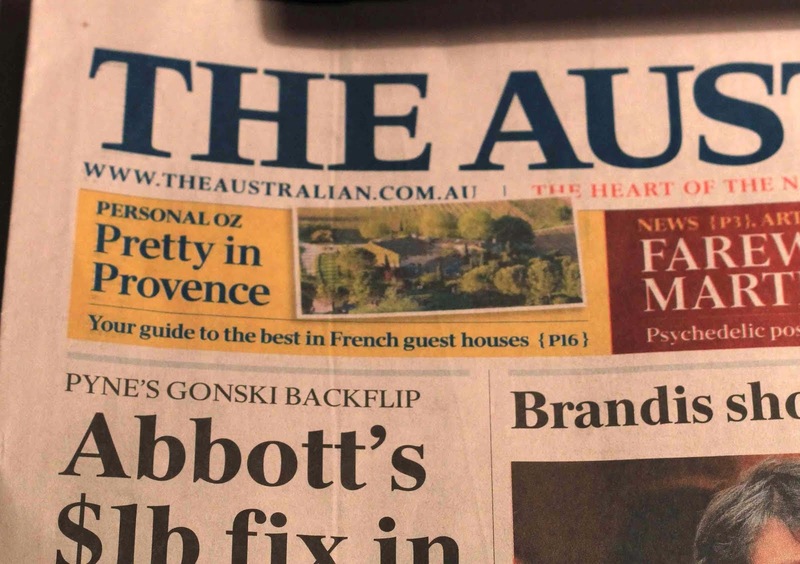 Joan Lindsay would be pleased. I'll keep you posted of news of all books as they evolve. Mr de la Renta may have passed on to that grand, glamorous garden in the sky, but the company's new creative director, Peter Copping, is doing an impressive job filling his (stylish) shoes. This year's collections have been full of botanical beauties, from frocks to flamboyant heels. Just look at these two cuties. I love the leaf-strewn Spanish mules. 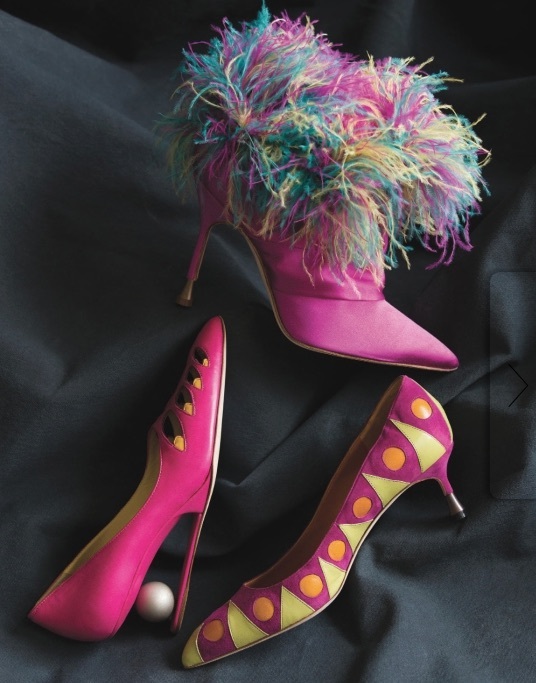 I love Mr Blahnik. I love the fact that he was raised on a banana plantation in the Canary Islands, and that his parents wanted him to become a diplomat but he enrolled in literature and architecture instead. I love the fact that Diana Vreeland gave him his start, telling him: "Young man, do things, do accessories, do shoes!" I also love the fact that he lives in the Georgian town of Bath, far from the pretense and madness of Paris and London. I really love the fact that he loves his garden as much as his shoes. But I particularly love the fact that he seems like such a genuinely nice gentleman! 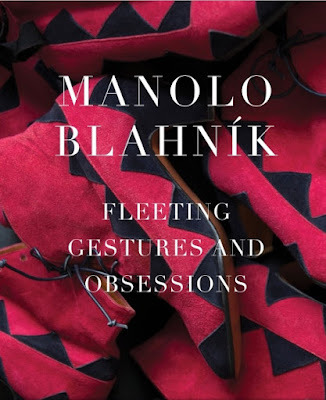 So this new monograph of his work is top of my Wish List. 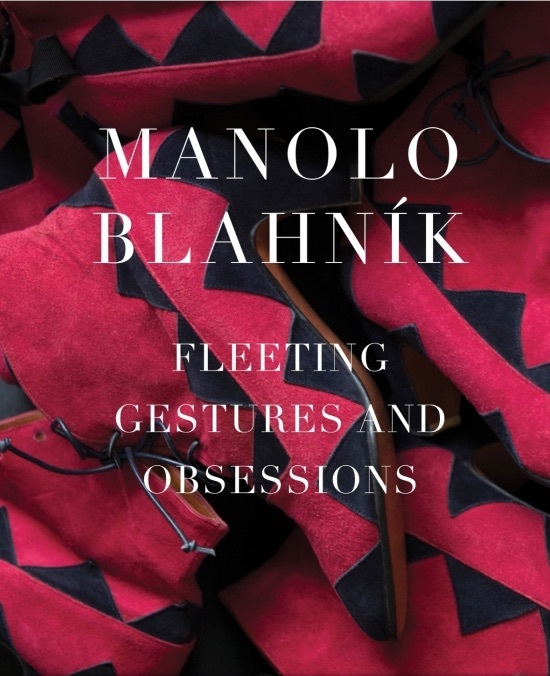 Entitled Fleeting Gestures and Obsessions (isn't that the perfect title for a fashion book? ), it's a look at his designs, his life, his loves and his legacy over the many years. It's one for shoe lovers, but it's also one for those who love design in all its forms. You can't get a much more inspirational person than this man. 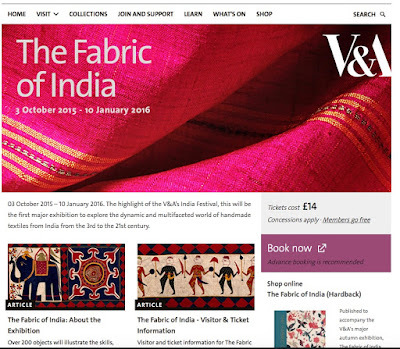 This exhibition has only just opened (a few days ago), and is one for textile and travel lovers. 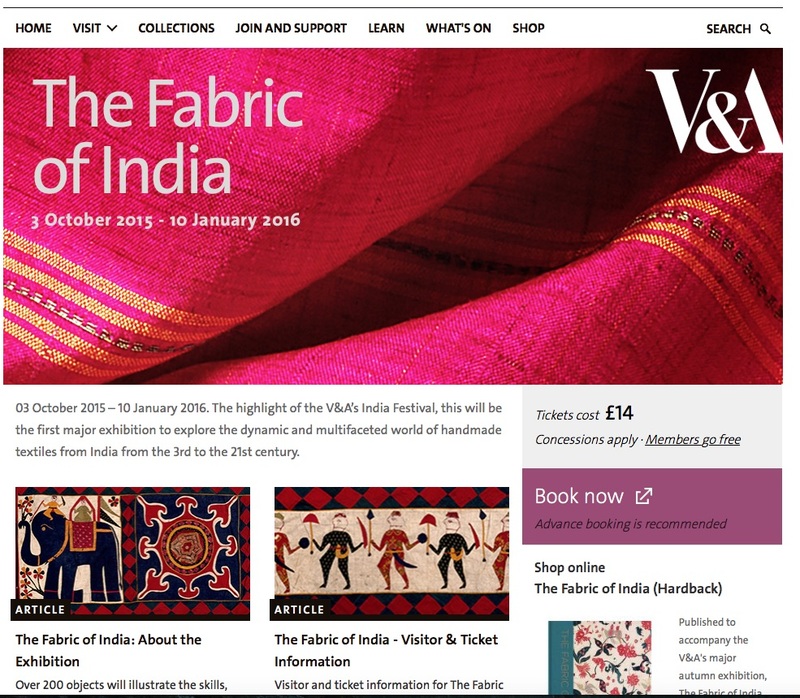 Entitled The Fabric of India, it's the highlight of the V&A's India Festival, and is the first major exhibition to explore the dynamic world of India's handmade fabrics. 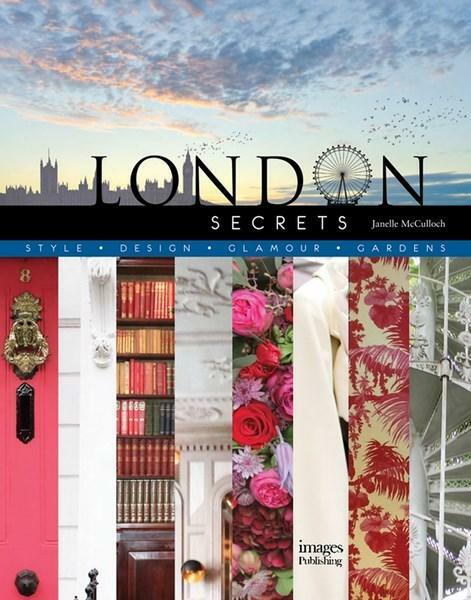 There's also a beautiful book, so if you can't make it to London, consider ordering the book online. Showing until January 10. Oh, I forgot to mention that we're still working on a beautiful London guide (the above is my mood board; not a design rough for the book), and I hope to bring you lots of London travel tips throughout the production process. That's all for now, from this messy corner of my study! Exactly two weeks ago, our family and friends celebrated the life of my kind, wise, clever and thoughtful father, in a packed chapel overlooking the gentle green hills of the countryside. (Don't worry; this is a post about happy things!) I was reluctant to attend; my father was my hero and I was heartbroken. But I did and it was beautiful. (I also had to do the 150 photos for the slide show; which took a few G&TS.) Afterwards, my partner and I had a quiet word at the cemetery, where I told dad what a wonderful father he'd been, and how grateful we were to have had him in our lives. All daughters think their dads are special, but I was particularly lucky. My father was an adventurer who taught his children to love travel, an educator who instilled in us the very best of his values and beliefs, a mathematician with a gift for money and numbers (oh, how I wish I'd inherited THAT gene! ), a hard worker who believed that tenacity, determination and a strong work ethic will take you a long way in life, and a gentleman who practiced kindness right until his last days. I hope I am as kind as he was at 74 years of age. But the one thing I'll always remember my dad for, the one thing I want to celebrate here, was his ability to tell a great story. My dad was a born raconteur. Not only that, he also loved listening to others' travels and adventures (just as I do), especially if an entertaining anecdote was involved. In fact, I think it's his laugh that I will miss most. There's nothing like someone's laugh to make you laugh in return, don't you think? We need more laughter in the world. We could all do with a little less negativity and a little more joy. 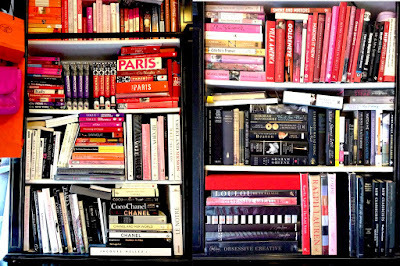 And so I'd like celebrate my father by posting about some of the things he loved; namely books, great stories, good friends, and grand journeys (with luggage to match!). As always, feel free to follow on Instagram – link below. 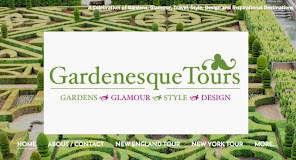 I'll be back on board IG in a few days with pix of New York and New Orleans gardens (doing a little garden tour of the French Quarter), and would love to chat to you there! My publisher will growl because I haven't publicized this earlier, but I hope the circumstances mentioned above allow me to be forgiven. Paris in Style is my newest book on Paris, and probably my last. 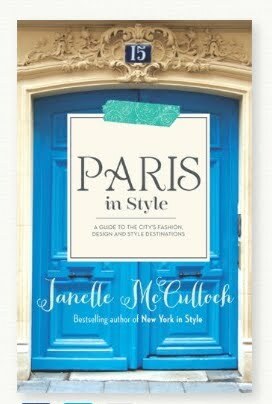 And because it's my last, I've packed it with Parisian secrets and insights! From the splendid Architecture Museum (just as good as the Carnavalet) to the little-known tours of Chanel's apartment on Rue Cambon, it covers hundreds of wonderful places to discover in this endlessly fascinating city. 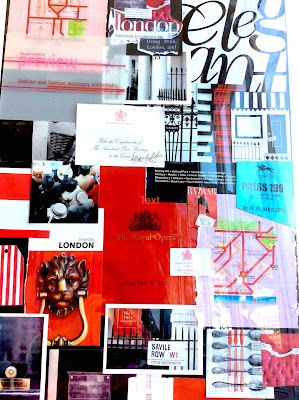 There are secret fashion and textile museums, sweet little hotels, under-the-radar neighborhoods, lesser-known design destinations, unusual boutiques, irresistible vintage stores and flea market stalls, gorgeous shoe stores and fashion boutiques, heavenly homewares places, and even hidden gardens and parks to explore. There's also a convenient list of 'must-sees' if you're in a hurry, and an extensive section on Paris's most surprising fashion and design quarters, from SoPi to NoMa and the 16th. 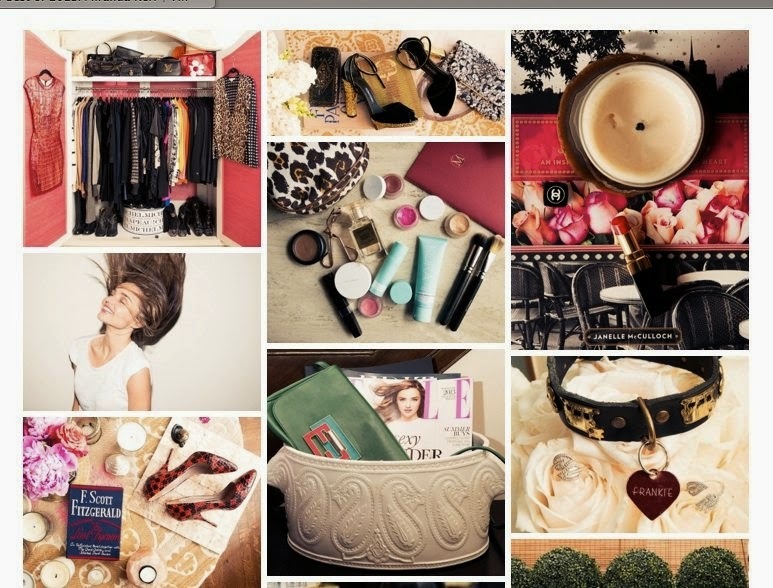 And of course, there are hundreds of photos and captions— because who reads copy anymore? It's a great little format too: compact enough for your handbag or carry-on. 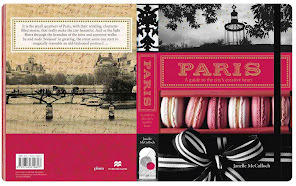 So grab a copy (it's just been released on October 1) for your next trip to Paris. 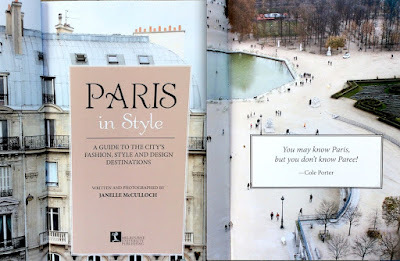 I hope it offers lots of insights and ideas to help you plan the perfect Parisian sojourn. MUP (Melbourne University Publishing), $39. If you're a traveller, an adventurer or just an armchair dreamer, you won't want to miss this show. (Highlights will inevitably be posted online closer to opening date.) It will inspire, delight and perhaps also motivate you to pack your own well-worn bag and seek out some quiet corner of the globe to explore. 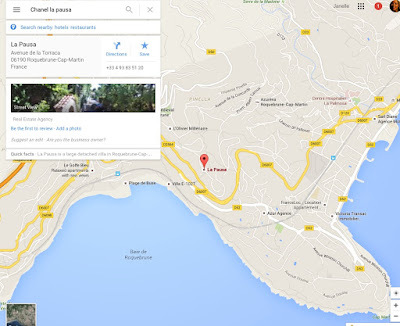 From December 4 until February 2016. 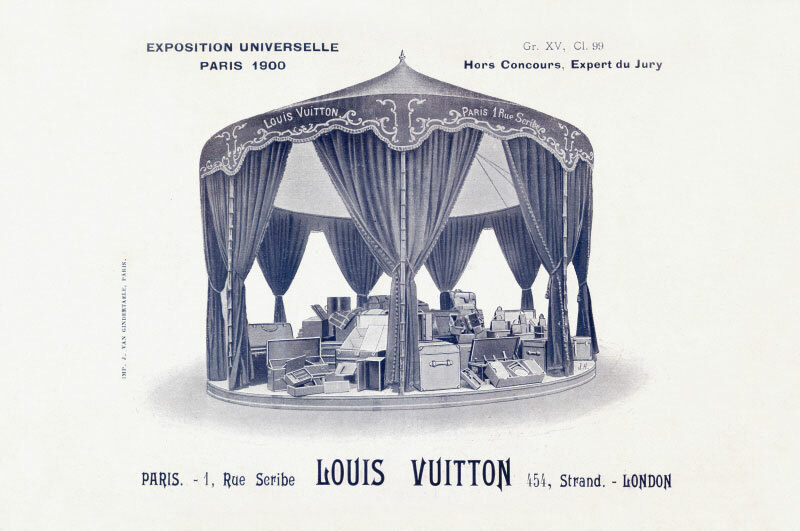 If you can't make the Grand Palais exhibition, you can still peek inside Louis Vuitton's atelier via its new museum, which has just opened inside the original Louis Vuitton home and workshop in Asnières-sur-Seine, France. 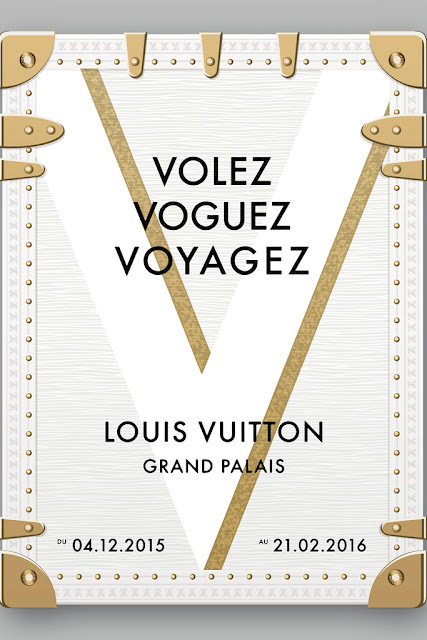 Simply called 'La Galerie', the new museum was put together by the renowned Australian-born, London-based curator Judith Clark, and showcases Louis Vuitton's journey via stories, inspirations, collections, and artistic collaborations, plus, of course, all the magnificent travel pieces, from steamer trunks to canvas bags. 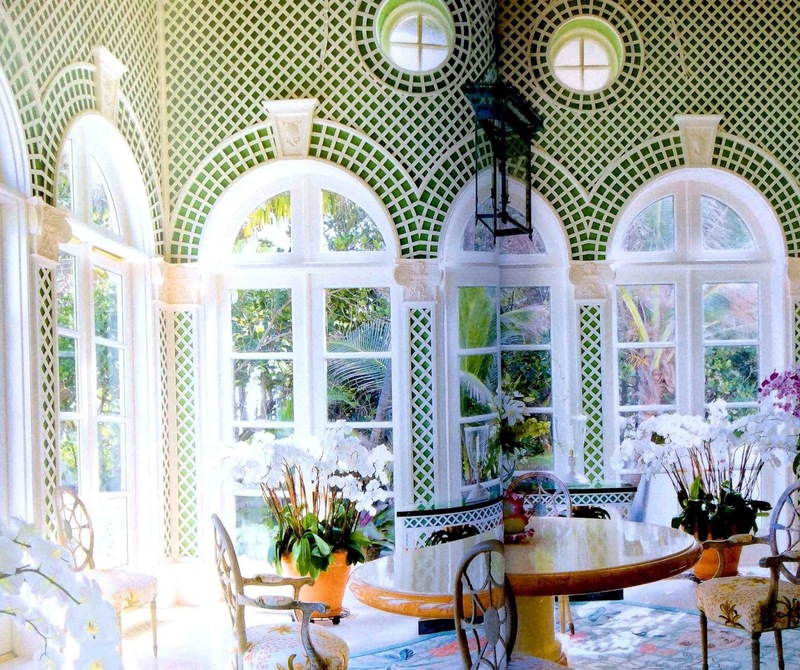 It's a wonderful opportunity to see inside the hallowed walls of this legendary French house. Visits by request. Weekends only. 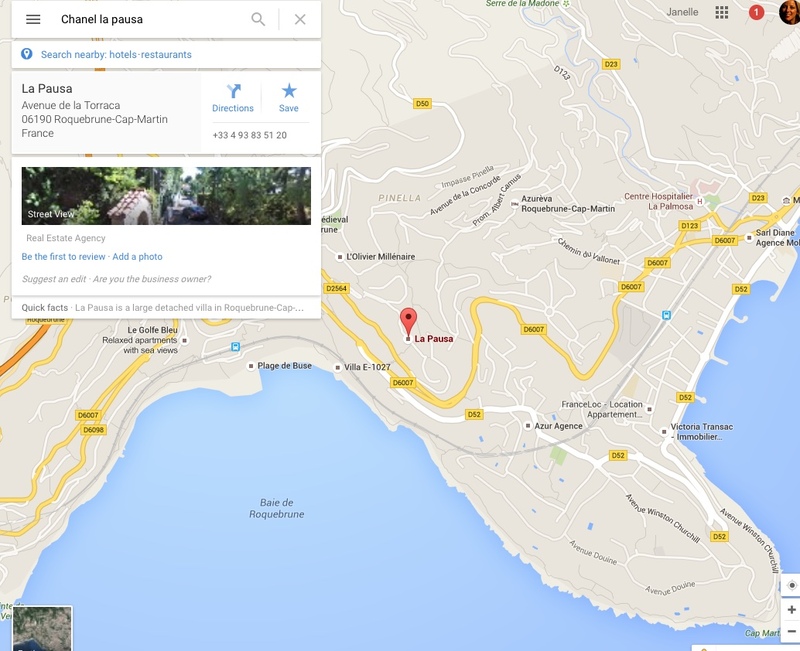 Les Journées Particulières only comes along once every few years, so mark the dates of May 20-22, 2016, in your diary. 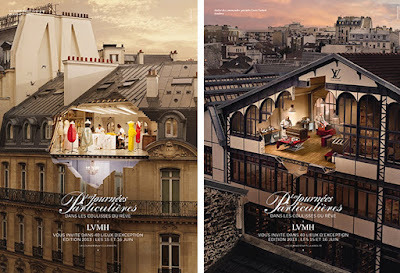 Organised by the LVMH group, this is a unique event designed to celebrate the heritage and craftsmanship of Paris' various maisons, and all their ateliers, workshops, studios, back rooms and pin-filled toiles. The opportunity to see inside these ateliers is so rare that whenever LVMH announces these open days, people queue for hours for the chance to join the privileged few visitors. (The last one, in 2013, saw more than 100,000 people go through the various doors.) 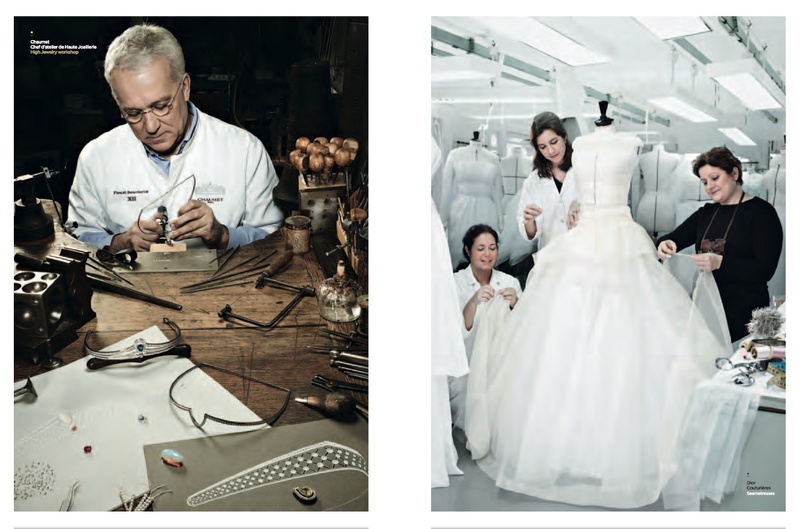 The most popular atelier is, of course, Christian Dior, but Givenchy, Céline, Guerlain, Louis Vuitton, Fendi, and Marc Jacobs and the other maisons will no doubt be just as packed next year. More details will be released early next year, so keep an eye out. Last week, I sent piles and PILES of gift parcels to friends and family, including my favorite aunt, Margot, who is just the most beautiful soul, inside and out. (And has been incredibly kind to me, as good aunts are.) All of these parcels contained books – the BEST kind of gifts, I think – and these were some of the goodies. A Day at Chateau de Vaux le Vicomte If you bought the book on Versailles by the same publisher, you'll adore this little gem, which goes behind the scenes of one of France's great chateaux (the gardens inspired Le Notre to design Versailles). 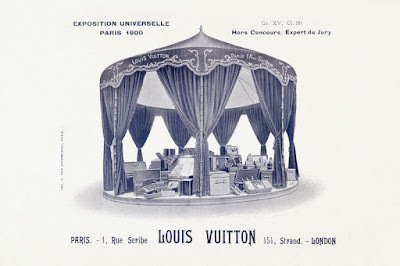 There are architectural drawings, garden plans, garden photographs, and incredible wide shots of the interior, including the kitchens and grand salons. The best part, however, is the history, and all the scandalous stories. A great gift idea. Flammarion, $42. 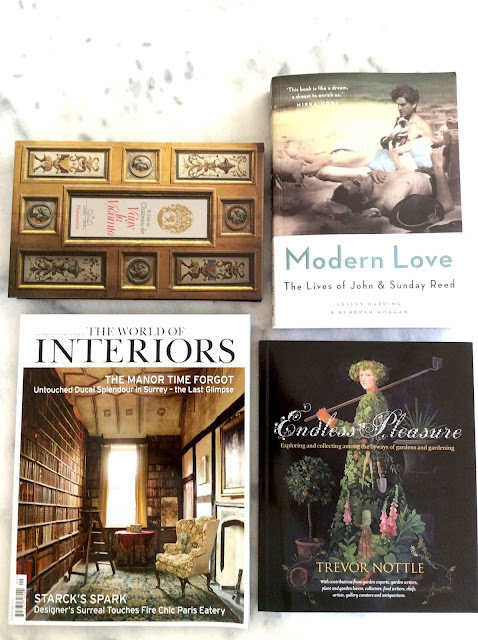 Modern Love: The Lives of John and Sunday Reed is the latest look at this Bloomsbury-esque couple who shared their home, their hearts, their dollars (they were two of our greatest art patrons), and their business know-how to enable up-and-coming artists to achieve extraordinary success. Of course, they shared their beds too, but thankfully this book doesn't go into the dirty details too much. It's one for Heide lovers, including Nicole Kidman, who named her daughter after Sunday Reed, and a fascinating insight into art and love and how, when the two are combined, they often create the greatest inspiration. There's also an accompanying exhibition at Heide, which is well worth seeing. MUP, $45. 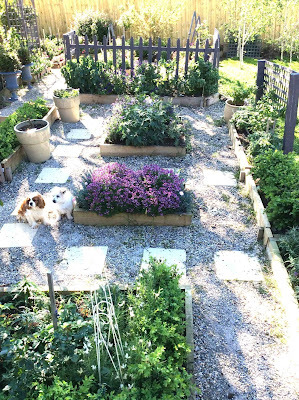 Endless Pleasure: Exploring and Collecting Among the Byways of Gardens is a wonderfully quirky title about gardening featuring contributions from garden writers, food writers, chefs, artists, gallery curators, and antiquarians who love the outdoors. There are stories behind the tools we use and love, recipes and memories, and irresistible garden paraphernalia such as prints and drawings. Much of it draws on the collection of the new Australian Museum of Gardening in Adelaide, and the illustrations, images and page designs will give you pleasure for an entire weekend. Buy one for a friend and another for yourself! Wakefield Press, $39.95. World of Interiors. If you don't have a subscription to this sumptuous magazine, put it on your Christmas Wish List. 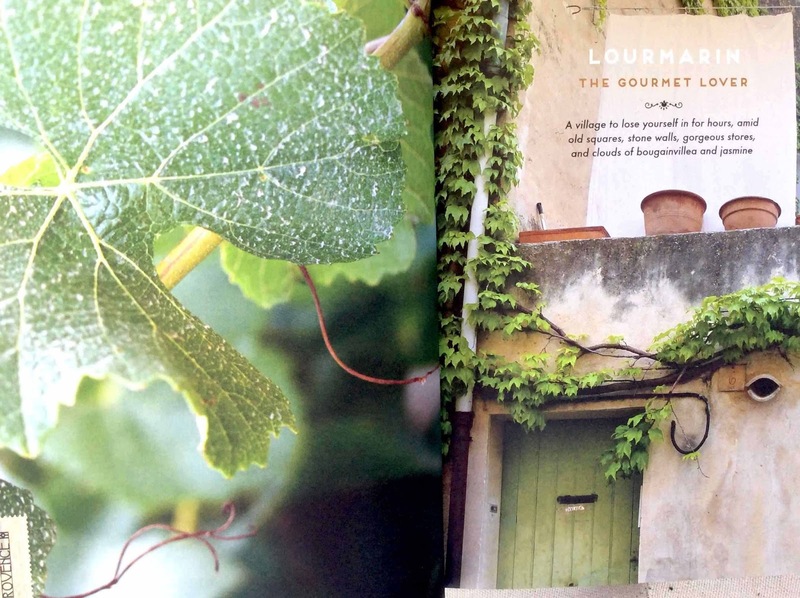 The September 2015 issue is a little slice of bliss. 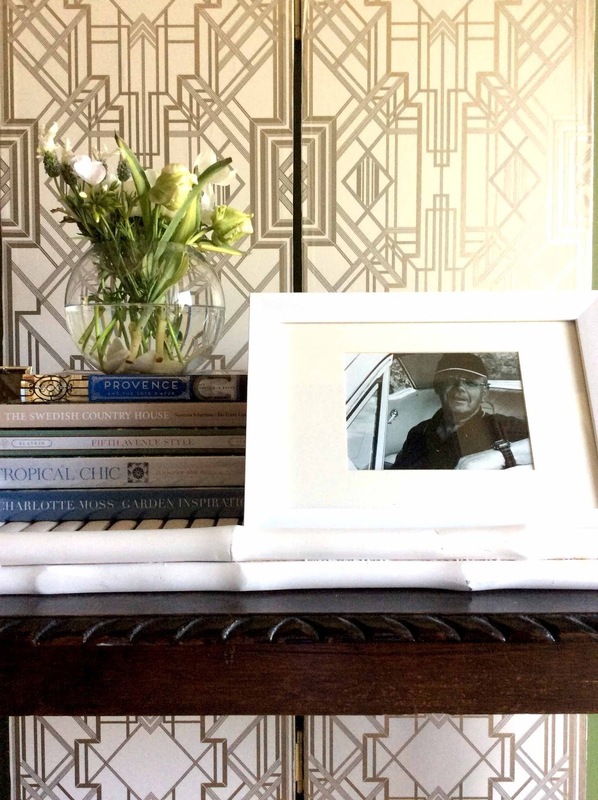 I first met the New York author, editor, stylist and consultant Tricia Foley several years ago, while shooting her quietly beautiful Long Island farmhouse for a book. We've stayed friends ever since. She is not only one of the kindest and most unpretentious people I've ever met but also one of the most talented interior designers. And her home... well, the word 'farmhouse' (Tricia's word) is an understatement really. Imagine a stylish white house on an idyllic river setting (complete with a tiny white boathouse), and then fill it with antique armoires and elegant sleigh beds, cupboards of beautiful white porcelain, sublime tablescapes of beautifully arranged treasures, crisply slipcovered white furniture, worn white floors, piles of books, and room after room of gentle grace. 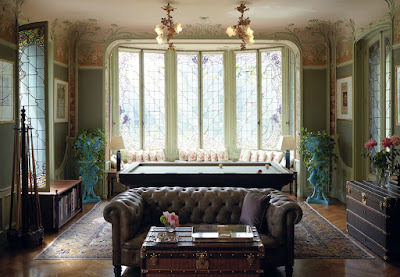 Even the basement has been converted to a charming office with a fireplace, library and flower room. Now, Tricia's 10th book, Lifestyle: Elegant Simplicity at Home, chronicles the 13-year renovation and decorating of this once-ramshackle 19th century farmhouse and its little twin, while revealing the heart and soul of their wonderful owner. Some chapters are deeply moving: "I didn't expect to stay long in this little orphaned house I found on Long Island years ago.." she writes on one page. And the images show the love she has poured into the place. She also offers advice drawn from years of working with famous clients, including Ralph Lauren. 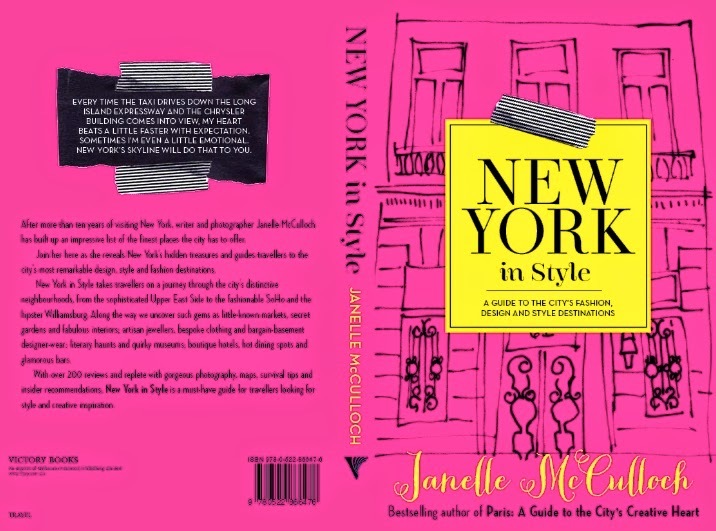 The foreword was written by her close friend and neighbour Isabella Rossellini, who writes: "Her determination to make anything old and decrepit beautiful is so contagious that ever since she moved to Long Island, the entire village has been transformed." It's true, too. 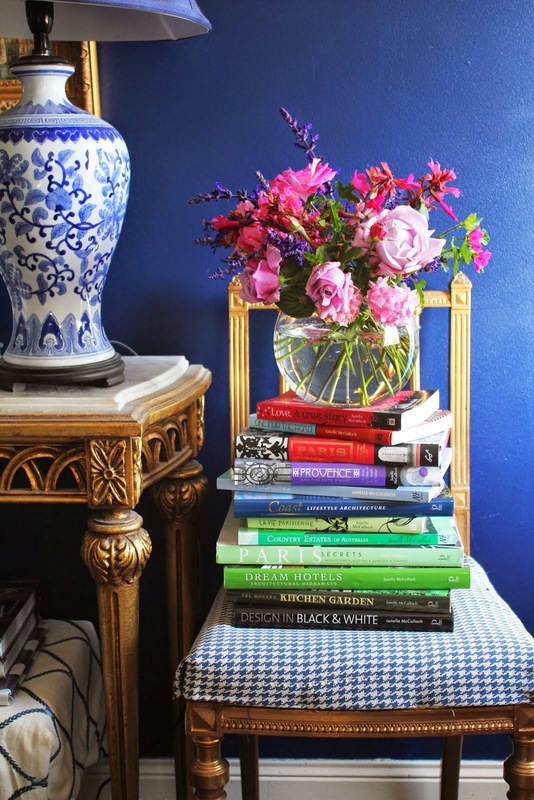 In recent years, I have gone from being a black-and-white girl to embracing color in all its shades but reading this book makes me wonder if we shouldn't all return to the peace, elegance and utter sophistication of refined, timeless white rooms? 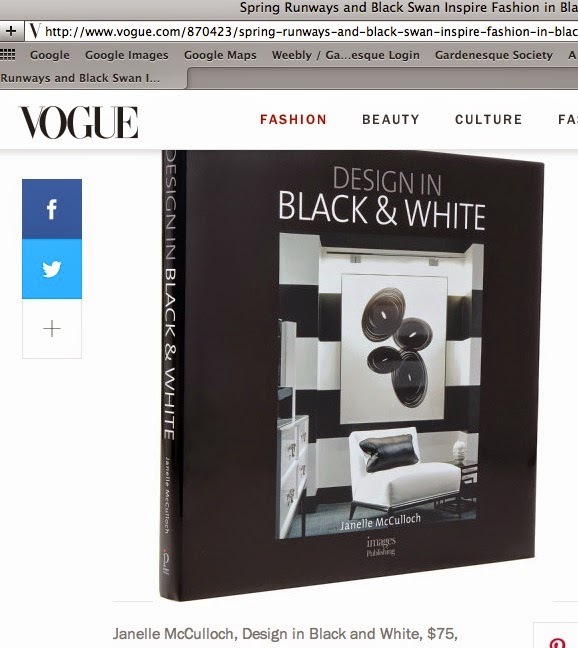 With the publication of this title, I suspect an interior design movement back to white its well on its way. Remarkable is an overused word in the creative world, but in Rodney Smith's case, it really does apply. 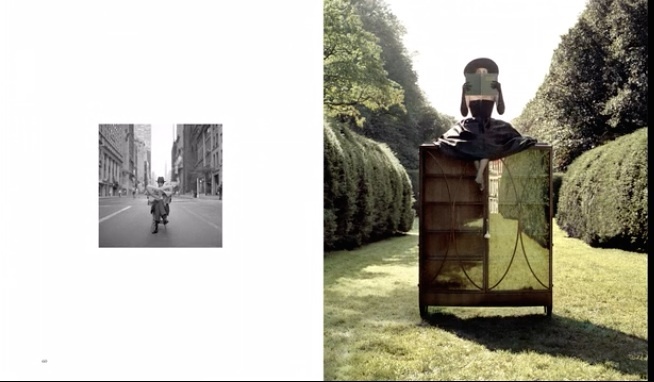 One of the most outstanding photographers to have emerged in the past 40 years, his work bridges both commercial and creative. Think Margritte meets Mad Men. There are images of ballgowned beauties reading classics in lush country gardens, bowler hatted-gentlemen doing dances with black brollies, and elegant 1950s-style travelers heading off on their own glamorous Grand Tours with suitcases atop their sleek sedans, but there are also surprising scenes of broken tea sets in French ballrooms and philosophers contemplating wise old trees. 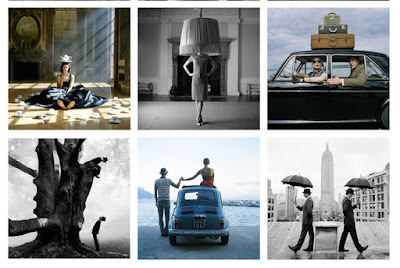 Not surprisingly, Rodney Smith's 45-year-career spans everything from the New York Times to magazine editorials, and his work has long been coveted by collectors. Well, now those of us unable to afford the $4000 for a single print can purchase 170 photos for just $75 via Rodney Smith's Kickstater campaign, which aims to fund funds to publish a stunning new tome. With the goal of $42,000 almost reached, you'd better be quick if you want to secure a signed copy of your own. Tropical Chic was was a surprise buy. 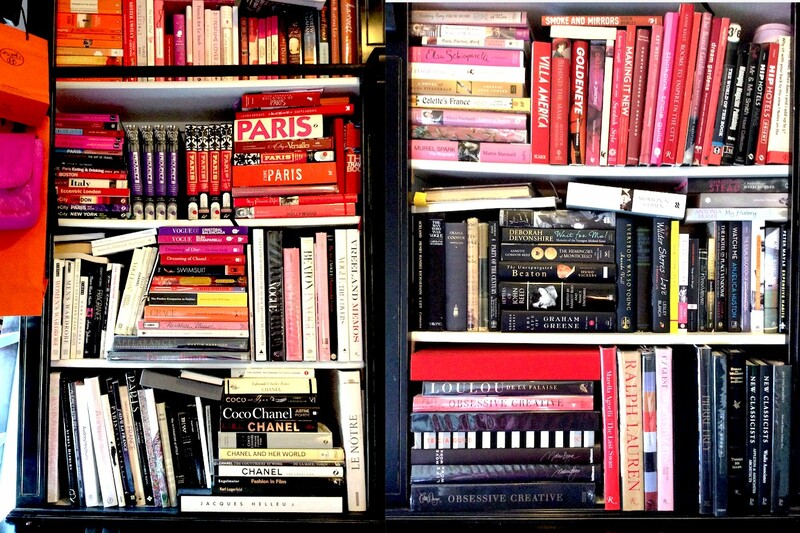 I fell in love with the cover and then found the contents to be just as gorgeous. 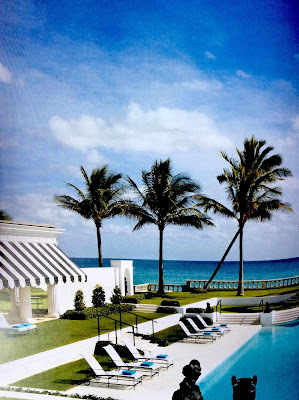 Written by Jennifer Ruddick, it takes readers behind the grand garden hedges and gates of glamorous Palm Beach in Florida, home to some of the most spectacular residences in the US. 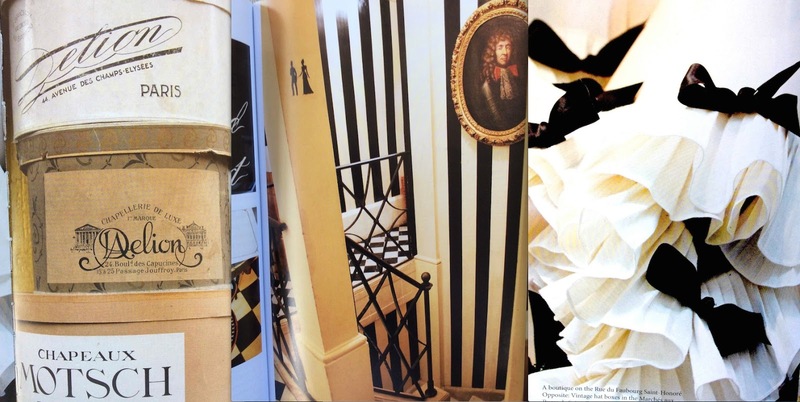 If you're a fan of bold color and chic interiors done with a certain cheekiness and whimsy, this is the book for you. There are iconic mansions that have been featured in many magazines but there are also private residences that are clearly more about family than making a statement. 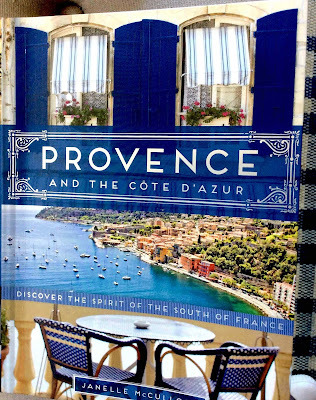 A truly lovely book. Provence and the Côte d'Azur has been published in Australian for a year or more now, but has only just come out in the USA (Chronicle Publishers), and friends have been kindly emailing me whenever they've caught sightings in Anthropologie and other stores. 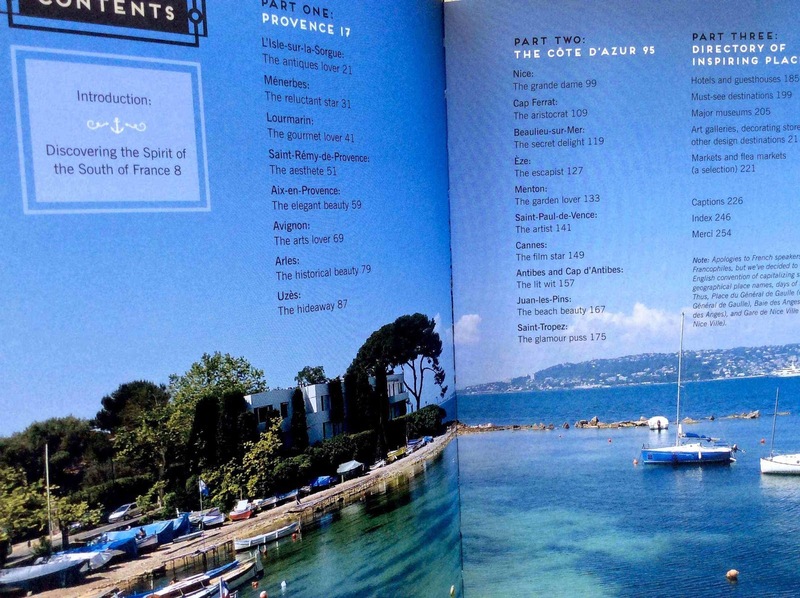 I thought I'd mention it in case you're heading to France this year, or making plans for next year. As always, if you want any travel ideas and insights, feel free to email me. I'm always helping people with itineraries (and love doing it). 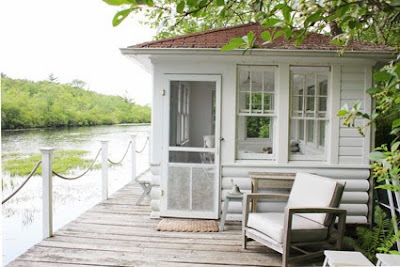 Even if time is restricted, I'll always offer whatever I can by way of great, under-the-radar places, including hotels, hideaways, stores and more. 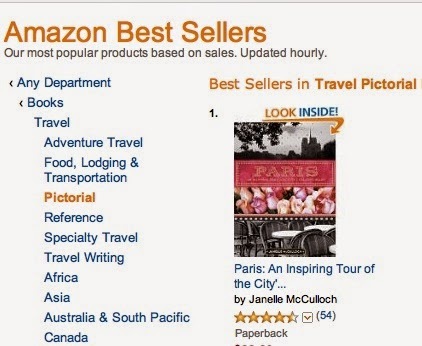 Of course, you can buy the book, too! As always, feel free to follow on Instagram – I hope to be back on IG in the next few days, with some gorgeous pix of glamour and gardens in New York and New Orleans, and perhaps Europe too!